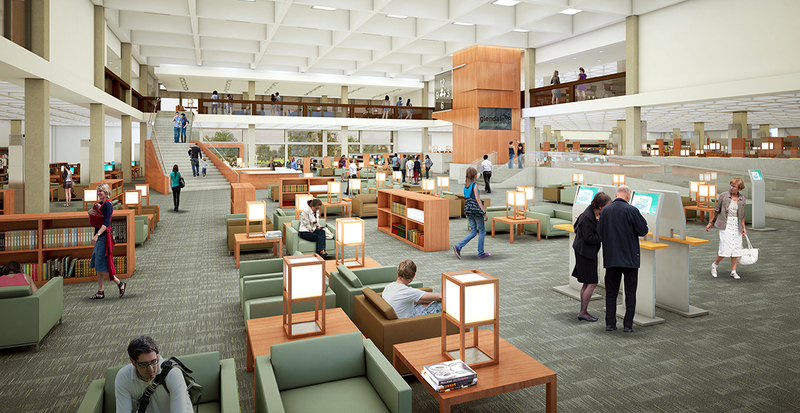 Gruen Associates is working on the renovation of the iconic, 90,000-SF existing 1970’s Brutalist-style concrete library. The renovation includes improving urban design linkages between the library’s function within the surrounding Glendale downtown area; an urban infrastructure that has changed significantly since the library’s initial design. A major aspect of the urban design response is consideration of revising how one enters the building while improving function and flexibility of interior spaces. 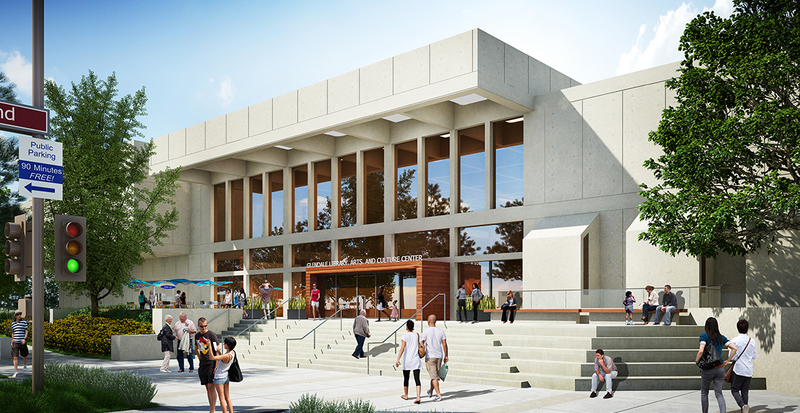 Carefully relocating the library’s main entrance from the building’s east side to its north side would create a new entry plaza oriented toward the burgeoning Glendale Arts District. Our team engaged a highly respected Historic Preservation consultant, the Glendale Historic Preservation Commission and the now-retired original architect (Welton Beckett), as well as designed a highly-detailed, photo-realistic image to address community concerns and ensure that the move would not compromise the library’s eligibility for historic designation on local and state lists. New technology-driven design features support Glendale Central Library’s emerging role as a new community social hub. The modifications reflect the shift of modern libraries’ expanded missions to serve not only as places of knowledge and learning, but also as community centers, museums, and places which foster creativity and invention.